The first-ever retail production of the 2015 Chevrolet Corvette Z06 will be auctioned to benefit the Karmanos Cancer Institute during the Collector Car Auction in Palm Beach, Florida, on April 12th. General Motors has a long-standing relationship with the Karmanos Cancer Institute, including raising $1 million by auctioning the first 2014 Corvette Stingray Convertible last year. 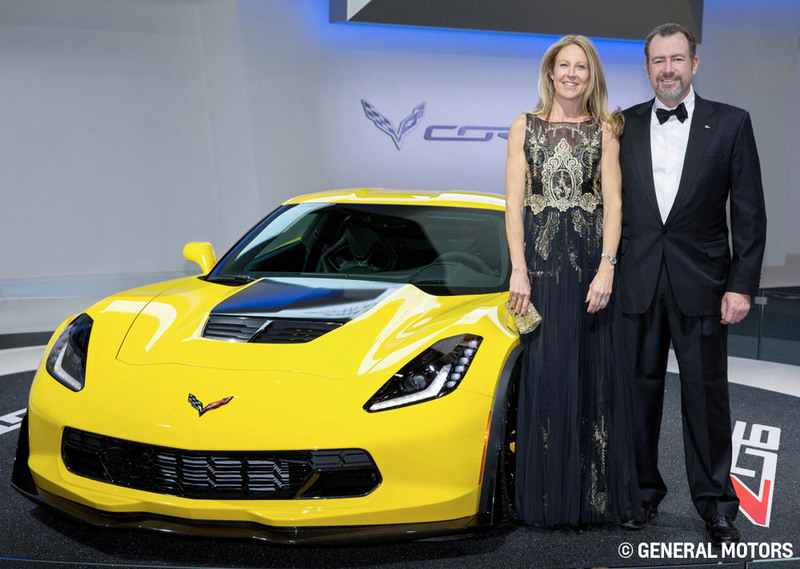 This year, the all-new Corvette Z06 is being auctioned to support Karmanos Cancer Institute’s 32nd Annual Dinner. According to a Chevrolet news release, all proceeds from the auction will go to the renovation of the Institute’s infusion center, which will provide a more comfortable and calming setting for patients to receive chemotherapy treatments. The 2015 Chevrolet Corvette Z06 is the most track-capable Corvette in the brand’s history, with unprecedented aerodynamic downforce, 625 hp from an all-new engine, and an all-new eight-speed automatic. Not only is the Z06 fast, but it’s also surprisingly fuel-efficient. The supercharged V8 engine features direct injection Active Fuel Management, and continuously variable valve timing, all contributing to increased fuel efficiency.